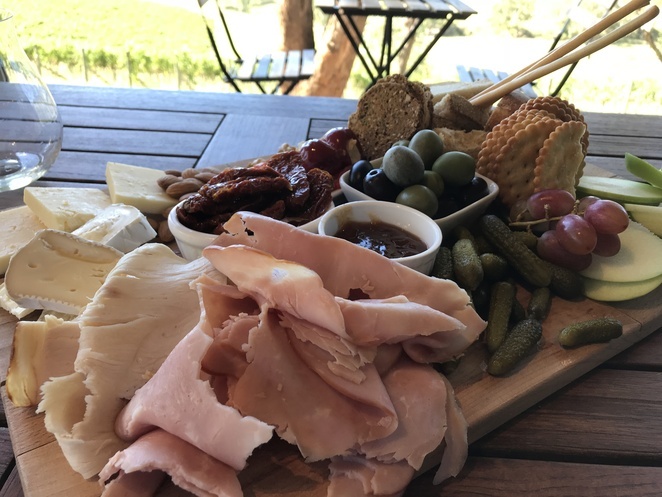 If you love your wine, and a good cheese platter, a hidden winery only 2 hours out of Sydney is the best place to experience both. Dryridge Estate is nestled on a scenic ridge in the Megalong Valley, offering majestic views of the valley and the Blue Mountains. Surrounded by towering sandstone cliffs and outstanding scenery, the unique family-owned vineyard caters to everyone. Emma and Simon are extremely hospitable and have a passion for making people happy. Tasting of their wines is an absolute must, with a wide range of red and white suitable for all palates. There are two options for the 4.5 star accommodation, either the sunset lodge which is quiet and perfect for a romantic weekend or the homestead which has spectacular views of the valley and is more suitable for families. Both affordable from $225 to $350 a night. Dryridge is 20 minutes away from Blackheath and makes a perfect day or weekend trip away, especially if you're on route to visit the touristic Blue Mountains - definitely add this one to your list. If you're a keen hiker or love a good walk, there's even a six foot track which leads to the estate and offers some of the finest scenic views and a good chance to soak up the country air, just remember, once you get to the destination you can treat yourself with delicious wine and fresh cheese! The estate is also the perfect spot for a wedding in their marquee section with magical sunset views, so if you're looking for a country style celebration, this place is where to be. I would like to say it's one of Sydney's well-kept secrets - with its extraordinarily serene rural landscapes, majestic stone cliffs and native forests. Enjoy the peace and serenity of the Blue Mountains in a different way.